The Pilkington Prize ceremony was this year held on Thursday 14th June in the David Williams Building of the Law Faculty. In recognition of the 25th Anniversary of the Prize, all previous Prize Winners were invited to the award ceremony. "The Prize Winners we are celebrating tonight are people who have gone above and beyond to deliver excellent teaching, whether by instigating new projects, trialling new technologies, or developing new courses. Cambridge offers some of the world's best research-led teaching, and it is also teaching that is student-focused and tailored to the individual as well, balancing the large-scale, the technological and the new with the individual and tried-and-tested methods. What stands out about this year's winners is that they share a gift for explaining complex subjects lucidly so as to make them clear and accessible - to students and, in many cases, through their outreach work, accessible to wider audiences as well. They all excel at engaging students and communicating to students their own passion and enthusiasm." Dr Buss is an inspiring Director of Graduate Education in the Cambridge Institute for Medical Research who has transformed graduate education for the ~70 graduate students enrolled. 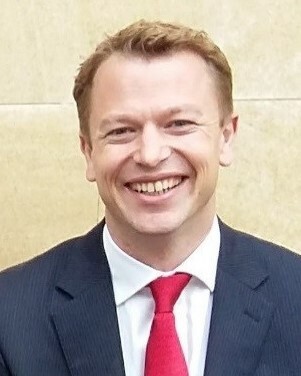 A committed and vital leader, Dr Buss has led the creation of a unified framework for graduate education and assessment within this cross-departmental institute of the Clinical School, combining the best approaches from various departments to devise a streamlined and vibrant graduate education programme that is widely acclaimed by the students. The new framework provides a unique partnership between basic and clinical research, aiming to understand the cellular basis of disease. Her leadership has greatly enhanced the student experience in the institute and she constantly tunes the programme in response to student feedback. Her approachability and enthusiasm for graduate education is also reflected in her own research-inspired teaching. Dr Buss cares deeply about the quality of educational experience at both the personal and departmental level, noted by fellow staff and students alike. Her combination of practicality and approachability have made her extremely popular with students in the institute, consistently receiving high levels of student satisfaction in the student surveys. Dr Davis is an engaging and inventive teacher and an innovative, collegial force in curricular planning, outreach and impact. His colleagues and his students are unanimous in their praise for him. Despite his many other commitments, Dr Davis has maintained an admirably high level of involvement in the Faculty and works tirelessly for his students at the College as well as at a Faculty level. 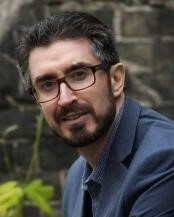 He has made vast pedagogical contributions to literary, visual and cultural studies while maintaining his ability to pass on his passion for the subject. Dr Davis’ translation teaching is informed by a desire to engage all students in the classroom and to move beyond translation teaching as only language learning, to show students the wider picture of how the text fits into the culture of the country as a whole. 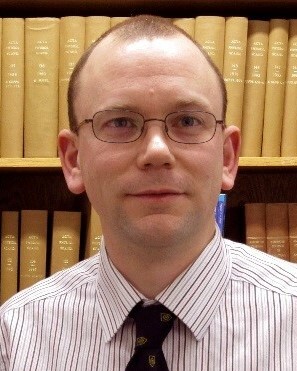 Dr Davis’ commitment and enthusiasm for his supervisions can be seen in the volume of detailed annotated notes and bibliographies he makes available to the students he supervises. Students have noted his ability to include their work in the subjects discussed, while drawing out areas that they perhaps had not considered. Dr Davis is a generous teacher who informs and inspires in equal measure. Over many years Dr Hadida has unrelentingly pursued and achieved all-round excellence in teaching. She has an outstanding record in pedagogical development, programme creation and programme direction. She engages brilliantly with students, with one student stating ‘The lecturer ties together education and entertainment in a successful format that communicates both the concepts of the strategy and the intentions behind using strategy’. 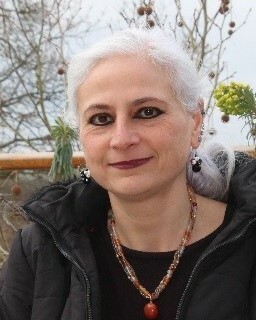 Dr Hadidda has been a pioneer in creativity teaching at Cambridge Judge Business School. In the core MBA course she sequentially developed yet more creative inspirational ways to excite a passion for learning, with students coming away from her courses with both the concepts and the ability to communicate the concepts. 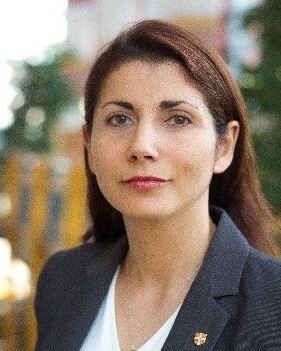 By setting extremely high standards for herself and the students, Dr Hadida has ensured that the students have risen to the challenge and a uniquely acclaimed course has resulted. Further to this, Dr Hadida has also developed a state-of-the-art four-to-six week strategy module for online teaching. She delivers sessions on teaching to graduate research students, and advises PhD students on pedagogy. Dr Hadida is a remarkably inspiring and dedicated teacher who aims and achieves at the highest levels yet never hesitates to seek to learn, innovate and excel more than she has currently achieved. Dr Jeffrey is an outstanding lecturer who uses his internationally renowned research to feed into his teaching, enthusing his students in political geography. Dr Jeffrey willingly and enthusiastically teaches across all three years of the Geography Tripos and at graduate level. His lectures are topical, conceptual and brilliantly delivered. His teaching is always innovative, and sets the standard in the Department on teaching excellence. Despite an exceptionally heavy teaching load, Dr Jeffrey has put forward a paper on Legal Geographies, typical of his nature to always be thinking about innovative new teaching. He has the energy and enthusiasm to plan and put it together to an extent that colleagues are keen to join and teach the paper with him. Dr Jeffrey manages to teach at the disciplinary research horizons in ways that are comprehensible and stimulating for students. As such, Dr Jeffrey is consistently rated as one of the best lecturers in the Geography Department. Students have noted how Dr Jeffrey adapts his lectures, sometimes just days before, to fit in with ever-changing global situations and keeps his examples in the present. Dr Jeffrey is much admired by our students, and held in awe by his peers who also marvel at his research achievements and general contribution to the Department. 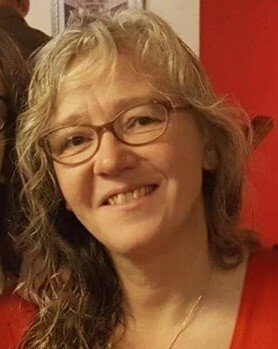 Dr Love is an outstanding teacher who is creative, sympathetic and is much admired by her students and colleagues. Working tirelessly and with unflagging enthusiasm, Dr Love has continued her full teaching load throughout her term as Head of Department over the last 3 years. One example of the effectiveness of Dr Love’s teaching and her willingness to go the extra mile can be seen in her Latin language course for first and second year undergraduates. Some students are new to the language while others have studied it before, so Dr Love runs two streams. By the end of the two years of Part I, she has taught absolute beginners in Latin up to the same reading standard as those who have studied it to A Level. 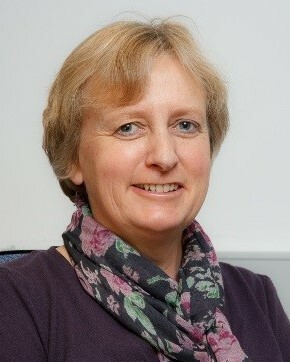 Amongst the many innovations in teaching and learning that she has made to the Department, Dr Love has also been the driving force behind the Department’s adoption of the virtual learning environment teaching materials and has created language-learning resources which have been adopted by other institutions. Dr Love’s teaching always receives glowing feedback from students, who say she is wonderful at elucidating difficult grammar, with no improvements needed! 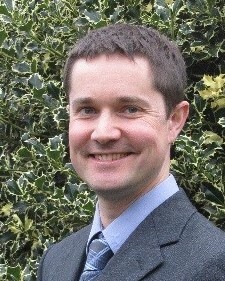 Dr Mason has been a mainstay of Physiology teaching for a decade. He is exceptionally careful and conscientious and cares passionately about teaching and learning. Dr Mason has continually developed his pedagogy well beyond expectations and strives to make improvements to all his courses. Further to this, Dr Mason writes a more than 100-page briefing document complete with references for each of his blocks of lectures – an extraordinary level of preparation considering the students don’t see any of it and he provides around 30 lectures per year! Dr Mason has also overseen and developed a new set of practicals that take the students from the basics of data collection, through to developing their own experiments. These are complemented by background information and debriefing documents for the students and briefing documents for the demonstrators. Professors in the Department have commented that they wished they had had such well-designed practicals as a student! Dr Mason has a genuine desire to find out what is really known, to communicate it accurately and develop students’ abilities to the limit. Dr Rapport has reshaped and reinvigorated the International relations teaching in POLIS and across the board. His contributions have been at every level, from the introductory papers through to Master’s teaching. Dr Rapport has also initiated, organised and moderates the professional development seminars for all first-year PhD students in Politics and International Studies. Dr Rapport has brought the study of International Relations alive for students, with humour, verve and originality. Dr Rapport’s passion for teaching shines through when looking at his supervision records – supervising 66 students from 25 Colleges last year, with students noting his personalised feedback to help each student to achieve their best. In 2017-18 Dr Rapport introduced a new paper on US foreign policy which is already one of the most popular papers in the Department. Dr Rapport’s teaching has had to reflect new insights into the impact of Brexit and the election of Donald Trump on transatlantic relations, among other major events, but continuously keeps his teaching relevant to the current climate. Further to this, Dr Rapport goes above and beyond, playing a major role in outreach and recruitment, contributing to masterclasses and public events with great popularity. Professor Richer has been an enthusiastic and effective teaching officer in the Physics laboratory for over 20 years. Since taking on the role of Director of Undergraduate Teaching in 2013, Professor Richer has led multiple new initiatives to enhance teaching provision, including integration of python- and other digital based tools. 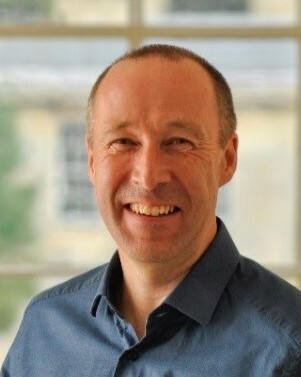 He has also overseen the design of the teaching and outreach spaces in the new Cavendish III development, and has been crucial in steering the design process towards providing flagship teaching environment for Physics students in the twenty-first century. Staff single Professor Richer out for his high standards and willingness to seek out the best modern approaches to teaching and his endless effort, while students note that he is always willing to stay behind after his lectures to answer any questions or iron out any confusion. Further to his teaching, Professor Richer has recognised the need to look at the bigger picture and reorganise the administrative and technical staff in the department, in order to ensure that the best teaching possible is achieved. Dr Rough is an excellent educator, praised by both staff and students in the Department. Despite her heavy teaching load, Dr Rough has recently revamped the Undergraduate Introductory Dynamics course with excellent success, given the variation in prior levels of knowledge among students. She has also prepared and delivered a lecture on report writing for incoming undergraduates – one of the single most important lectures given. Dr Rough’s excellent organisation of material, careful delivery and explanation can be seen in the high levels of student satisfaction in student feedback surveys. Dr Rough always strives for excellence – not being happy with an overall satisfaction of 69% for one of the MPhil courses, Dr Rough identified areas for improvement and addressed a number of issues, improving the score to 100% the following year. This was partly due to the personalisation of Dr Rough’s approach. She took the time to sit down with each student to discuss their academic welfare, report writing, examination techniques and career development. Dr Rough’s personalised approach can also be seen in her organisation of supervisions. She has gone out of her way to organise group supervisions for appropriate abilities across 4 Colleges. This ensures optimal teaching, and prevents duplication of effort for supervisors. 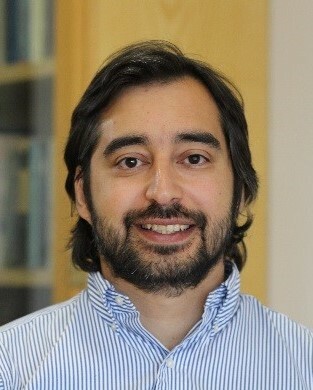 Dr Tofaris is an outstanding teacher, whose passion and innovative teaching style single him out. He has revitalised the teaching of technical legal subjects at Cambridge and his student feedback consistently ranks him as one of the best lecturers in the Faculty. His enthusiasm for the subject shines through, and the feedback makes it clear that students feel stimulated and challenged by his teaching. A natural communicator, Dr Tofaris brings a flair for exposition, sensitivity to the capacity and concerns of students, and a novel approach which combines a variety of pedagogical techniques to his teaching. Dr Tofaris has been noted for his ability to communicate with students in all areas of the Tripos, each with different expectations. Directors of Studies have highlighted his ability to make his supervisions effective and interesting, while making all students feel at ease with the material and that they have something to contribute. In addition to his teaching responsibilities, Dr Tofaris also runs individual writing sessions for students who are struggling and is a committed member of the Degree Committees of both Law and Land Economy. Ms Wager is best known for her tireless work to transform an empty suite of rooms into a hub of activity and learning. Her co-operation with academic staff and application of her own skills combined with insight into the learning needs of students has been second to none; and has led to innovation in the Department’s learning and teaching provision. Feedback from students is unanimously positive, both in their enjoyment of learning new skills and in the relaxed and supportive learning environment that Ms Wager has created. Students have praised this for allowing them to learn from making mistakes, and repeating methods until they feel comfortable with the techniques involved. Ms Wager’s wholehearted engagement with the learning needs of students, and the imagination and empathy with which she strives to meet these, are attested by all those in the Department. This can be further proven by the student-led teaching and lunchtime practice sessions she has arranged, each of which require extensive behind the scenes support that often goes unnoticed. 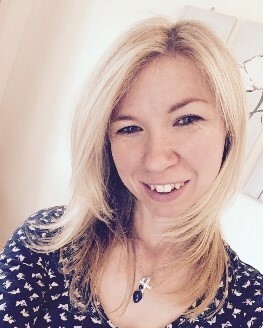 Ms Wager is a talented and dedicated member of staff who is a role model for staff and students alike. 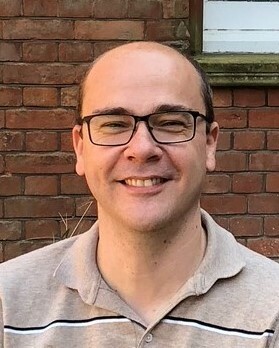 Dr Wilkinson is an outstanding teacher whose teaching sessions are consistently scored very highly by students and has transformed the psychiatry undergraduate training over the last 6 years. Dr Wilkinson led the planning of the new integrated delivery of Psychiatry across the three clinical years with a teaching style that is engaging and supportive. His revised teaching programme introduces elements of psychiatry early in the curriculum and includes a focus on the overlap of psychiatry with physical conditions in a much more integrated manner. He has also catalysed the creation of a large range of online resources, including clinical teaching videos and podcasts, revised the end-of-course assessment, and introduced an innovative post-exam feedback session. Students have commented that they would like to have Dr Wilkinson’s style of assessment, feedback and organisation on all their placements, and that they feel he understands where they are coming from, particularly when providing feedback from their exams.